Is elective ultrasound covered by insurance? 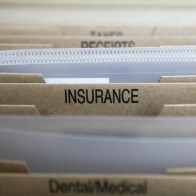 March 6th, 2012 | FAQ | babypre | Comments Off on Is elective ultrasound covered by insurance? No, since this is an elective procedure, these scans are not covered by insurance. Our pricing is set at a very reasonable level so that our services are affordable for most everyone’s budget. We accept all major credit and debit cards as well as cash. Are you able to tell us the gender of the baby? 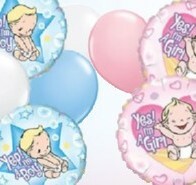 March 6th, 2012 | FAQ | babypre | Comments Off on Are you able to tell us the gender of the baby? May we bring our family and friends? March 6th, 2012 | FAQ | babypre | Comments Off on May we bring our family and friends? Yes. We encourage you to bring family and friends to your elective ultrasound. This is an exciting and joyous occasion that should be shared with those close to you. We can comfortably accommodate ten or more people in our scanning and screening room. Everyone should have a great view in our theater style screening room. How far along in my pregnancy should I be to have a 3D / 4D ultrasound? March 6th, 2012 | FAQ | babypre | Comments Off on How far along in my pregnancy should I be to have a 3D / 4D ultrasound? March 6th, 2012 | FAQ | babypre | Comments Off on Is it safe? Are there any risks to me or my baby? How is 3D & 4D Ultrasound Different From 2D? March 6th, 2012 | FAQ | babypre | Comments Off on How is 3D & 4D Ultrasound Different From 2D? 3D ultrasound takes a series of 2D images and assembles them to give a 3D computerized image of the scan. 4D takes this process further. It takes a series of scans and puts them together to show these images in a cinematic fashion. The fourth dimension is time. March 6th, 2012 | FAQ | babypre | Comments Off on What is an elective prenatal ultrasound? Will I always get a great picture of my baby? March 6th, 2012 | FAQ | babypre | Comments Off on Will I always get a great picture of my baby?